A couple of weekends ago I decided this quilt had been dragging on and I was in danger of loosing interest. That thought spurred me on to get more blocks done and I am feeling pleased with my progress. I now have only one more large basket block to make and then six mini baskets before I can start piecing it together ... it suddenly feels achievable! The first photo shows the latest blocks I made and then all the blocks together. One of the disadvantages of making my own wardrobe is the difficulty photographing the finished clothing in use. Being in front of the camera is not my favourite thing to do however photographs of clothes being worn show better how they fit. I have a backlog of handmade clothes that haven't made it to the blog but I managed to get some photos this week while family are on holiday. The first outfit is my Hetty cardigan designed by Andi Satterlund. The yarn is New Zealand made Outlaw yarn in worsted weight and is made of 45% wool, 45% Alpaca and 10% Possum. The possum gives it a soft fuzzy halo and it's really comfy and warm. The dress is actually a top pattern and I extended the length to just below my knees. It's the Akita top designed by Colette from their Seamwork magazine. The fabric is a polyester (I think) from Spotlight and was gifted to me by a friend. I am really happy with this outfit and I'm starting to think that simpler shapes suit me best?! The necklace had cream beads so I bought green nail polish and painted them to match! 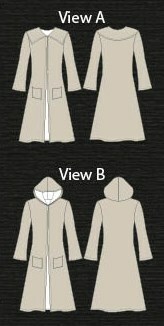 Secondly, I'm wearing an Undercover Hood by Papercut patterns. I have made the hooded version for Charlotte so I knew the pattern was quick and easy. The back, sleeves and ribbing are made from a really lovely merino I bought from The Fabric Store and then a printed knit for the front. I loved Susan's cowl so I used the same pattern and made one to coordinate with my top, using Cascade 100% wool (ravelry page here.) I tend to wear these with my jeans or a black skirt. Wow, this year just keeps racing by! I can't believe it's been three months since I updated photos of my Natalie's quilt, first started here. I didn't get to my quilting class last term hence the slow progress; only three more blocks made. But slow progress is better than no progress, as they say! Some of my friends have been updating and decorating the foyer at our church, making it look bright and welcoming. My contribution was to make some bunting, one is four meters and one five meters. Unfortunately I haven't got a photo of them hanging but they really help to make the foyer look fresh and fun! The months are racing by; it is amazing to think we are already well into term 3! 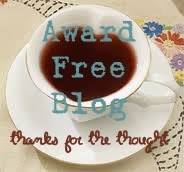 My posts are few and far between and most of that is due to the normal family busyness. Today I am catching up with my knitting projects and hopefully I will be back soon with a quilting catch up and a handmade wardrobe catch up! I completed two handmade gifts recently. I knitted the gloves for a favourite brother-in-law and this winter has certainly been cold enough to make them an appropriate gift! The pattern is Checkerboard Mitts by Helen Stewart and the link to my ravelry page is here. The shawl was part of the 4-ply shawl club. It is the Southern Shawl by Truly Myrtle and the yarn is by Happy-go-knitty and is 50% silk and 50% merino. This was such a lovely pattern to knit and progressed quickly as the body of the shawl is quite simple. A very good friend is turning 50 this month so I have decided a hand knitted shawl will be the perfect gift for her. My ravelry page for this pattern is here. I have also knitted a couple of things for myself. These slippers were a fun and quick knit, using size 8mm needles and two strands of yarn. They started off as a strange shape but once sewn up I could see the beginnings of slippers. I first felted them by washing them in the washing machine with a load of towels and then made them even smaller by felting them by hand. The pattern is the Moonkoosa boots and my ravelry page is here. I had some yarn left over so knitted myself fingerless gloves as I tend to have cold hands in winter! The pattern is called Donegal mitts and my details are here. I'm now working away on a cardigan for myself which will be very welcome as we are having a cold winter this year!! It is wet and cold here today but I am happy: the fire is glowing and I have hand-knitted socks on my feet! These socks were finished in June and are the Anemone pattern by a New Zealand designer, Wei S. Leong. The yarn is Knitsch 100% merino sock yarn which is from New Zealand merino and hand-dyed in New Zealand too. These are my favourite hand-knitted socks so far because I got the fit just right! I have received my second package for the Happy-go-knitty 4 ply shawl club. This time the yarn I received is a gorgeous plummy colour and I'm making good progress, just working on the lace border. I have been visiting the Retro fair occasionally and I found some lovely handmade project bags (you can see the spotty one with my knitting) and a cute little shelf. I am hoping to get this painted and then find a home for it. I have finished the first shawl for the 4 ply shawl club. It is the Altitude shawlette by Brenda Green, here on ravelry. This is such a pretty pattern and was quite quick too once I became familiar with the pattern. The yarn is so soft which is perfect against my neck and face. It is a 50% merino and 50% silk mix, hand dyed by Happy-go-knitty and the colour is Midwinter night. I have worn it quite a bit already so that shows I love it! My first lovely thing is the pleasure that flowers bring. I am enjoying the last of our iceberg roses before they have their winter prune. My second lovely thing is my coffee table. It is an old oak table that belonged to my grandmother and I inherited it many years ago. It has been in a sad state all that time, with a very dark stain and lots of marks and blemishes. Paul recently finished sanding it back and has given it three coats of oil. Although some of the blemishes still show it now has a golden glow and I think it is quite beautiful. Over at The Monthly Stitch it is Indie Pattern month with weekly challenges and prizes. 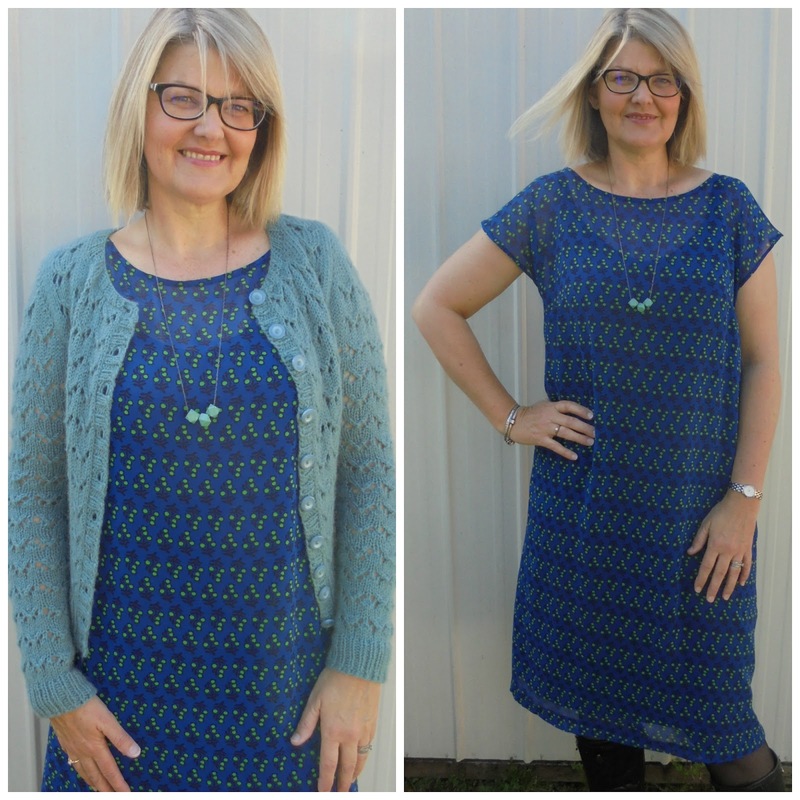 This week it is all about separates and I have completed a Lark maxi cardigan and a Flutter Tunic, both patterns were already in my stash and on my to-do list. The Lark maxi cardigan is a Jamie Christina pattern and I thought it would be a versatile piece to add to my wardrobe working just as well over a dress. The fabric I used is a cotton knit with a ribbed pattern. I made the Medium size, view A and made it exactly to the pattern. It was the first time I used fusible hemming tape and it certainly made the hems easier to manage. This was a great pattern to use. The top I made is the Flutter tunic by Papercut patterns. I had bought the fabric in February with the intention to make a blouse and finally decided on this design. It is a sheer polyester I bought from The Fabric Store for $15.96. I had seen this tunic was worn quite baggy which doesn't suit me so I decided to make it a size smaller than my usual and made a muslin to check the fitting. I ended up making the small size in the shoulders and sleeves and the medium size for the darts and side seams and shortened the tunic length slightly. I have a favourite purchased top that is a similar shape and it has ties so I decided to copy that feature. I simply made long ties and then sewed them to the back seam, sewing a cross for extra strength. I really love this tunic and I have worn it quite a lot already, layering a merino top under it on the cold days, of which there have been many lately! 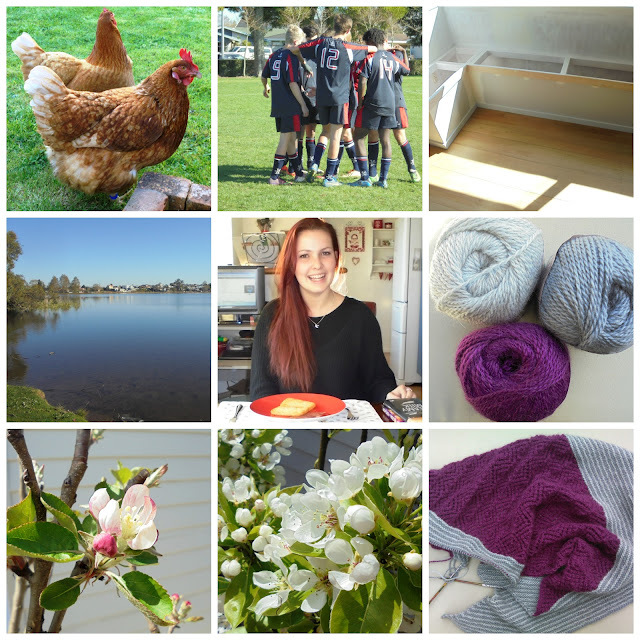 I live, work, and craft from my home in Hamilton, New Zealand. I share my home with Paul (husband), Charlie (daughter) and Josh (son), and with two cats, two goldfish and three hens. I really appreciate your visits so hope you'll stop in often to see me!